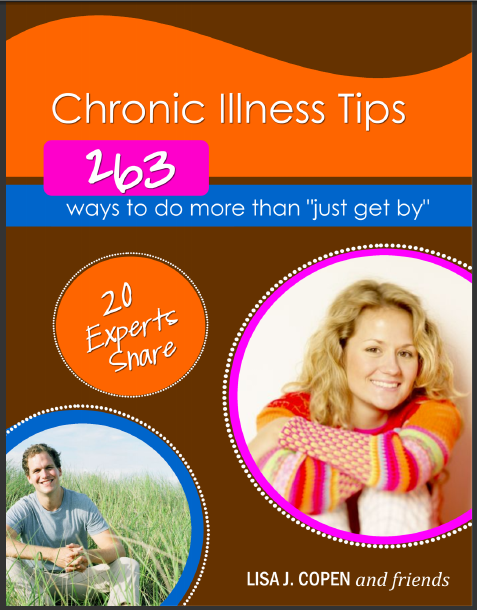 Lisa Copen, the Founder of the National Invisible Chronic Illness Awareness Week and Rest Ministries, collaborated with several authors and experts to compile this very resourceful book. Wayne Connell, Founder of the Invisible Disabilities Association, contributed his helpful tips, “10 Ways to Encourage Loved Ones Living with Chronic Illness and Pain” adapted from IDA’s book, But You LOOK Good! Other topics included in the book are After the Diagnosis, Coping with Illness, Relationships, Faith, Career, Encouraging Others and Practical Tips. This eBook is available for Download for FREE! Don’t miss Wayne Connell and his bride, Sherri, during the 2012 National Invisible Chronic Illness Awareness Week. They will be discussing the in’s and out’s of living with invisible disabilities, marriage and how to reach out. This year, the interview will be by video!